Teferi, Hero of Dominaria ($35.64) Price History from major stores - Dominaria - MTGPrice.com Values for Ebay, Amazon and hobby stores! 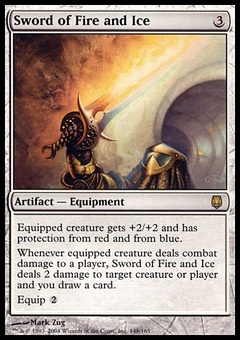 Card Text: +1: Draw a card. At the beginning of the next end step, untap two lands. -3: Put target nonland permanent into its owner's library third from the top. -8: You get an emblem with "Whenever you draw a card, exile target permanent an opponent controls."